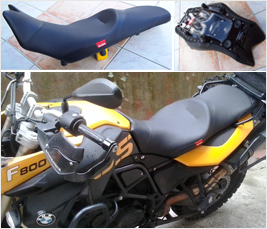 Comfortable, custom designed touring riders' seat for the following types: BMW R1100 GS, R1150 GS, R850 GS. 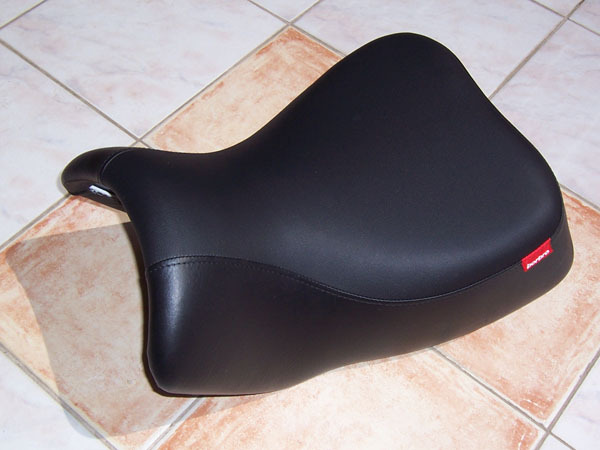 The HOCH seat is the further heightened version of our TOSCANA/ALPES seat, that got 1 cm or 2 cms plus foam layer. 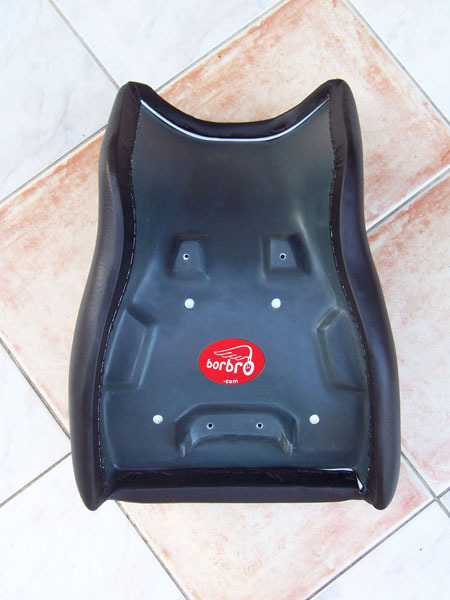 The sitting height of Borbro HOCH is the original BMW seat height + 4 cms or + 5 cms, this way - due to this really increased sitting level - it's recommended for people taller than 190-195 cms. trendy upholstery with anti-slip option. You can read further details here of the features. 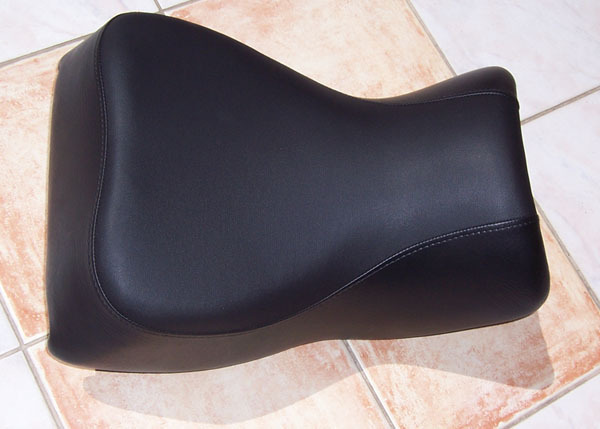 Our standard seats are cushioned with the normal hardness cushioning, but in case of any hardness peference we'll try to find other options as well for you. 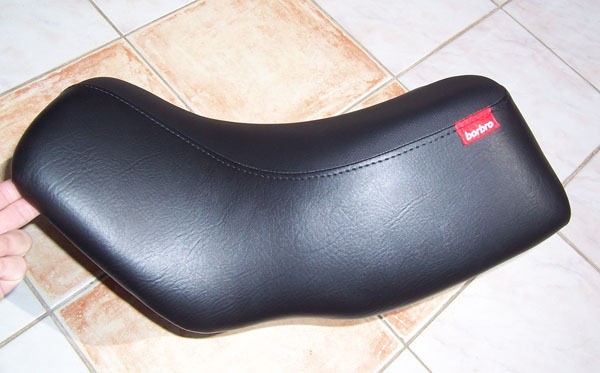 The seats can be ordered also with both the flat or the anti-slip top material option. 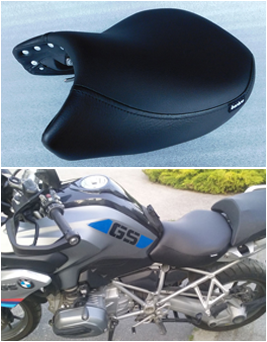 All Borbro 850/1100/1150 GS seats are to be mounted onto the original BMW metal seat frame. IMPORTANT! 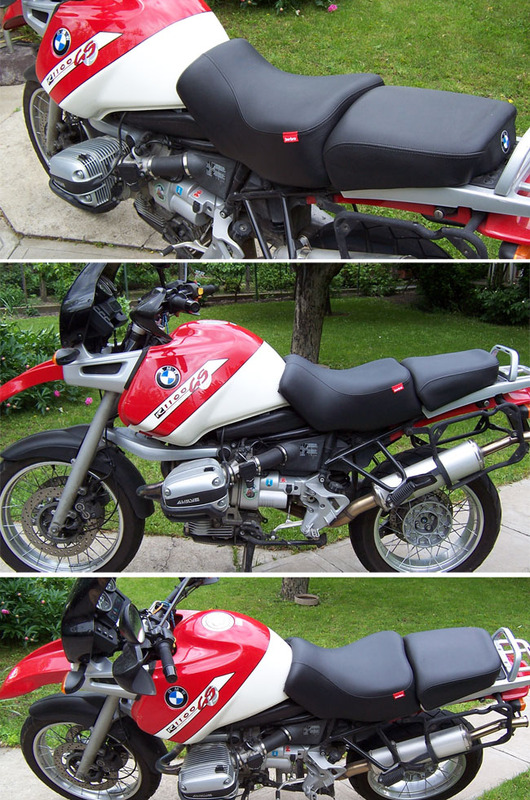 In case you purchase your Borbro seat, you DO NOT have to return your original BMW seat - unlike at most other seat brands -, because that's not what we work from! We build you a complete new seat, much better than the original! The prices above are without the freight cost. 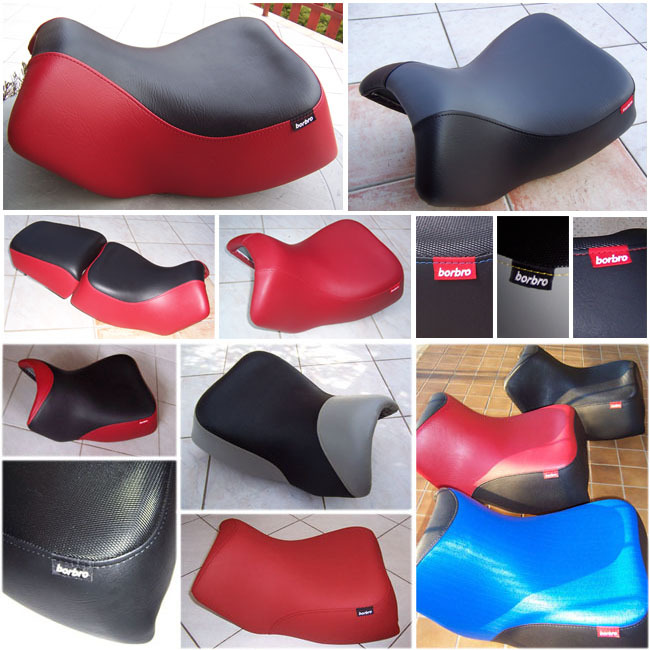 Harmonizing upholstery for your pillion seat. : 30 EUR. 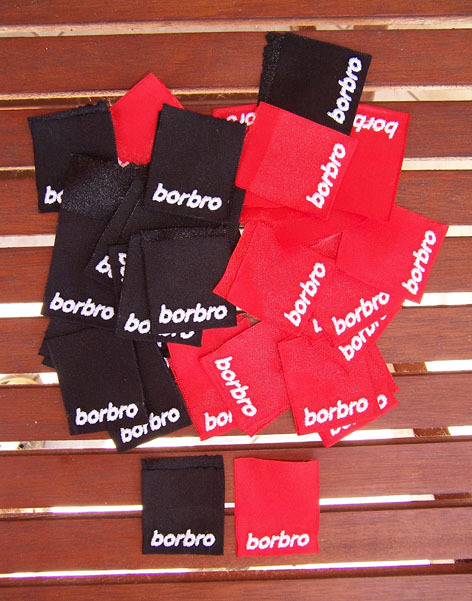 Available options without plus costs: coloured thread, black borbro label, etc. Ask for the possibilities. Some coloured or special materials: plus 5 EUR generally. 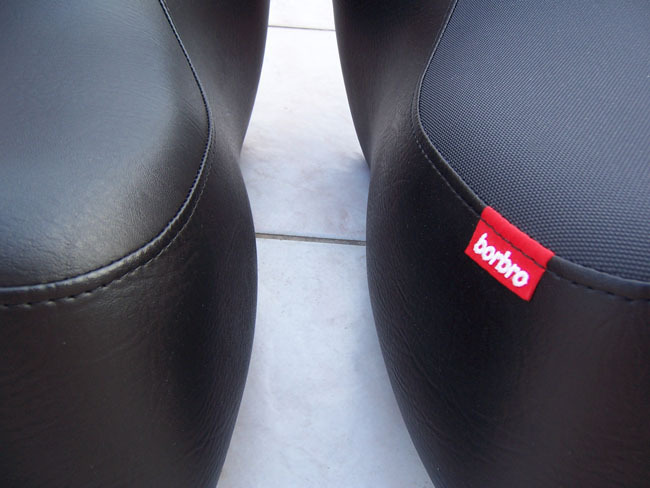 Waterproofing foil below the upholstery: included in all Borbro seats without plus charge. In case of any special request (i.e. 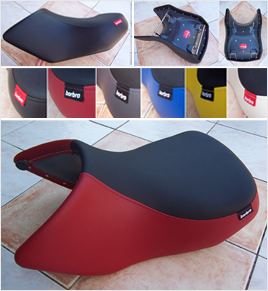 seat construction, design, available materials and colours, etc.) please contact us.